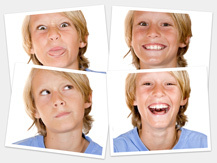 Does a specific software exists which could simplify the process of making collective images such as these? ... preferably with some options (like "pins", some visual effects on the "polaroids" etc). Currently I'm doing it manually, but it is a lot of work. Not sure if this is exactly on topic here, or just bordering, but it seems it could be a relatively often demand of customers. I use Picasa it is a great option. But let us know what Operating System are you using. For Mac there is some apps like CollageIt and Posterino who does a great job, there are not free but I'll help a lot in the process. Is more easier to put a pin deco in Photoshop than do the whole workflow. There also a few options in mobile apps, since Im new I can post more links, but Diptic is one of my favorites. Again, it hels a lot in the process maybe does not all the job but agilize the process. Picasa 3.0 (free from Google) has a picture collage function which allows you to create merged images like the examples in your question. 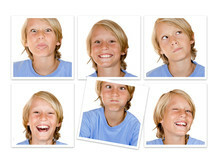 It includes a picture border option that allows a "polaroid" style and allows you to place (and rotate) images by hand. TurboCollage, available for both Mac and Windows PC, can make collages that look like multiple spread out polaroids. 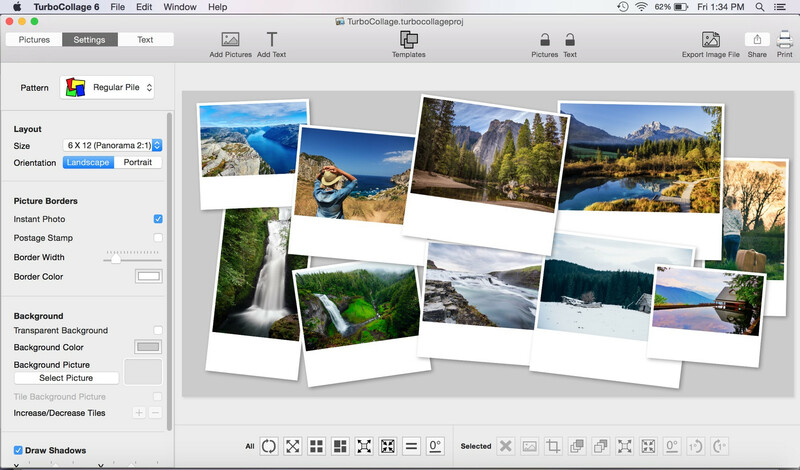 TurboCollage, Picture Collage Maker and CollageFactory Pro are all great Mac tools for creating collages with a polaroid look/feel. CollageFactory Pro is also available as a Windows application, though I have not had any experience with that version. Not the answer you're looking for? Browse other questions tagged software presentation collage or ask your own question. How can I automate the creation of Polaroid-like images in Photoshop? Which tools are good for creating panoramas/stitching multiple photos? What Windows software can I use to make a large photo collage? What software would help me make an image square (rather than off-kilter)? How do I make a panorama from multiple rows and columns? Can the new Affinity Photo app work with multiple images, like Apple Aperture did?